So you’re an up and coming band that wants to create an album/EP and lack the funds to do so. Or you have a 4 song EP deal with your label and they say if you want to make it a full 12-12 song album you have to come up with the rest of the money. You can’t just go to your local bank and take out a loan. If you have quite a decent number of fans crowdfunding may be the option for you. There are many different crowdfunding companies to choose from, each with their own appeal. In this article I will talk about PledgeMusic, Kickstarter, and Indiegogo. 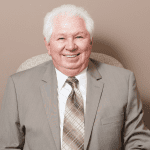 I will also talk about your tax obligations with the funds generated from them. n direct-to-fan campaigns, fans are not charged until the project target is reached, at which point money is collected in an “artist account” that holds the money for disbursement to the intended recipients. If a target is not reached, fans are not charged. In pre-order campaigns, fans are charged immediately, and the artist is paid directly upon project completion, much like traditional online retail. PledgeMusic is reported to have a 90% campaign success rate (higher than Kickstarter or Indiegogo), with most artists raising an average 140% of their goal. PledgeMusic artists have the option of donating a percentage of their total or post-goal revenue to a charity of their choice. Currently, 67% of projects are linked with a charity. Artists without a cause in mind are able to meet with the company’s charity outreach specialist to pair them up with charities. Kickstarter: Kickstarter is an American public-benefit corporation based in Brooklyn, New York, that maintains a global crowdfunding platform focused on creativity. The company’s stated mission is to “help bring creative projects to life”. Kickstarter has reportedly received more than $1.9 billion in pledges from 9.4 million backers to fund 257,000 creative projects, such as films, music, stage shows, comics, journalism, video games, technology and food-related projects. People who back Kickstarter projects are offered tangible rewards and/or experiences in exchange for their pledges. This model traces its roots to subscription model of arts patronage, where artists would go directly to their audiences to fund their work. 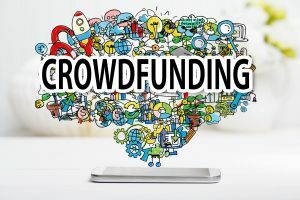 Kickstarter is one of a number of crowdfunding platforms for gathering money from the public, which circumvents traditional avenues of investment. Project creators choose a deadline and a minimum funding goal. If the goal is not met by the deadline, no funds are collected (a kind of assurance contract). The platform is open to backers from anywhere in the world and to creators from the US, UK, Canada,Australia, New Zealand, The Netherlands, Denmark, Ireland, Norway, Sweden, Spain, France, Germany, Austria, Italy, Belgium, Luxembourg, Switzerland and Mexico. There is no guarantee that people who post projects on Kickstarter will deliver on their projects, use the money to implement their projects, or that the completed projects will meet backers’ expectations. Kickstarter advises backers to use their own judgment on supporting a project. They also warn project leaders that they could be liable for legal damages from backers for failure to deliver on promises. Projects might also fail even after a successful fundraising campaign when creators underestimate the total costs required or technical difficulties to be overcome. The site runs on a rewards-based system, meaning donors, investors, or customers who are willing help to fund a project or product can donate and receive a gift, rather than an equity stake in the company. Following changes in Security and Exchange Commission rules earlier in 2016, Indiegogo has partnered with MicroVentures to offer equity-based campaigns beginning in November 2016, allowing unaccredited investors to participate with equity stakes. In 2014, Indiegogo launched Indiegogo Life, a service that people can use to raise money for emergencies, medical expenses, celebrations, or other life events. Indiegogo Life did not charge a platform fee. In 2015 Indiegogo Life was renamed to Generosity.com. Donors use solely credit cards to donate, and processing is conducted by Stripe. Stripe’s processing fees of 3% plus 30 cents of every donation still apply. In 2002, while working as an analyst on Wall Street, Danae Ringelmann co-produced a reading of an Arthur Miller play. Though the performance was popular with audiences, there was little financial incentive available, and Ringelmann decided to seek alternative revenue streams. Ringelmann was originally inspired to work with independent filmmakers and theater producers after a filmmaker 50 years her senior saw she worked at JPMorgan and asked her to fund his film. In 2006, Ringelmann went on to the Haas School of Business to start a company she felt would “democratize” fundraising. There she met Eric Schell and Slava Rubin, who had had similar experiences with fundraising. Schell had previously worked with The House Theater Company in Chicago, while Rubin had started a charity fundraiser for cancer research, after losing his father to cancer as a child. Ringelmann, Schell, and Rubin developed their concept in 2007, under the name Project Keiyaku. The site officially launched at the Sundance Film Festival in January 2008, with a focus on film projects. In June 2010, MTV New Media partnered with Indiegogo to develop new content from the site’s projects. In September 2011, the company raised a $1.5 million Series Seed financing round, led by Metamorphic Ventures, ff Venture Capital, MHS Capital and Steve Schoettler, Zynga’s co-founder. In February 2012, President Barack Obama’s Startup America partnered with Indiegogo to offer crowdfunding to entrepreneurs in the U.S.
Patreon was founded in May 2013 by artist Jack Conte, who was looking for a way to make a living from his popular YouTube videos. Together with Sam Yam he developed a platform that allows patrons to pay a set amount of money every time an artist creates a work of art. The company raised $2.1 million in August 2013 from a group of venture capitalists and angel investors. In June 2014 the company raised a further $15,000,000 in a series A round led by Danny Rimer of Index Ventures. In January 2016, the company closed on a fresh round of $30 million in a series B round, led by Thrive Capital which puts the total raised for Patreon at $47.1 million. The company signed up more than 125,000 “patrons” in its first 18 months. In late 2014, the website announced that patrons were sending over $1,000,000 per month to the site’s content creators. In March 2015, Patreon acquired Subbable, a similar voluntary subscription service created by the Green brothers, John and Hank Green, and brought over Subbable creators and contents, including CGP Grey, Destin Sandlin’s Smarter Every Day and the Green brothers’ own CrashCourse and SciShow channels. The merger was consequent of an expected migration of payment systems with Amazon Payments that Subbable used. In October 2015, the site was the target of a large cyber-attack, with almost fifteen gigabytes’ worth of password data, donation records, and source code taken and published. The breach exposed more than 2.3 million unique e-mail addresses and millions of private messages. Following the attack, some patrons received extortion emails demanding Bitcoin payments in exchange for the protection of their personal information. In July 2016, Patreon sent out an email to its users, announcing changes for its more adult-oriented creators. Notably, content creators working under the “NSFW” Not Safe For Work categories on Patreon can now accept payments through PayPal via PayPal’s subsidiary Braintree. This move now allows Adult Content creators on Patreon to accept payment more easily. Before these creators could only accept payments through credit cards. In January 2017, Patreon announced that it had sent over $100,000,000 to creators since its inception. In May 2017, Patreon announced that it had over 50,000 active creators, 1 million monthly patrons, and was on track to send over $150 million to creators in 2017. In June 2017, Patreon announced a suite of tools for creators to run membership businesses on the Patreon platform. Notable improvements included a CRM system, a mobile app called Lens, and a service to setup exclusive livestreams. Patreon users are grouped by content type, including video/films, podcast, comedy, comics, games, education, etc. These content creators set up a page on the Patreon website, where patrons can choose to pay a fixed amount to a creator on a monthly basis. Alternatively, content creators can configure their page so that patrons pay every time the artist releases a new piece of art. A creator typically displays a goal that the ongoing revenue will go towards and can set a maximum limit of how much they receive per month. Patrons can cancel their payment at any time. Creators typically provide membership benefits (commonly in the form of exclusive content or behind-the-scenes work) for their patrons depending on the amount that each patron pays. Patrons can unlock monetary tiers that increases the content type they see from the user. A number of content creators on Patreon are also YouTubers. They are able to create content on multiple platforms and while the YouTube videos may be available to the public, the Patrons receive private content made exclusively for them in aiding the Patreon user’s goal. Patreon takes a 5% commission on pledges. As of May 2017, the average pledge per patron was around $12, and a new patron pledged to a every 5.5 second. Those are the current crowdfunding sites as of July 7,2017 perhaps more to come. The funds received from any of these sites is taxable when received and any promised or expense related to the projects are deductible. For example: A band needs money to record their new album. They set up on any of the crowdfunding pages above and set the goal of funds needed. They make promises based on various levels of fund raising. They may promise a copy of the CD for a $10 pledge or maybe a vinyl record for a $50 pledge. In my example, the band is successful and raises $10,000 the crowdfunding site takes 5% off the top. They get a check for $9,500. they spend $7,000 studio time and manufacturing compact discs, they have a net profit of $2,500 taxable. A possible tax trap a cash basis taxpayer which individuals are by law. If money is received in one year and not spent until the following year it Is taxed in the year received and deduction when spent in the next year . If money is received and never used for the purpose intended it is all taxable income. So if you are raising funds spend it for the original reason stated or pay the income taxes. 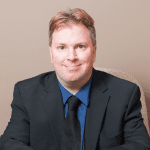 Jerry Catalano is a practicing CPA known as The Music CPA that provides tax, audit and accounting services for music and entertainment industry professionals nationwide. He is a founding partner of Catalano, Caboor & Co. He’s also lead vocalist and guitarist in his band “The Fource” that have 3 albums on CD and iTunes. Jerry is member of the American Institute and Illinois Society Of Certified Public Accountants, ASCAP and the National Academy Of Recording Arts and Sciences (NARAS). He can be reached at www.themusiccpa.com. Jim Catalano is the Marketing Director for The Music CPA and Catalano, Caboor & Co. He’s very passionate about music of all genres and makes #CatmansChoice posts daily of songs he loves. Jim also advises indie artists worldwide on marketing and assists them with their social media needs. He can be reached at jimc@catboor.com and on Facebook and Twitter. Jim is a graduate of Columbia College Chicago.